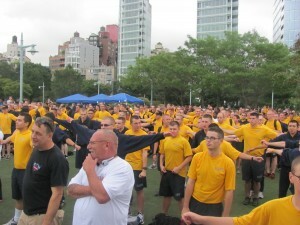 Below are two more pictures from the USO 9/11 Remembrance Walk. 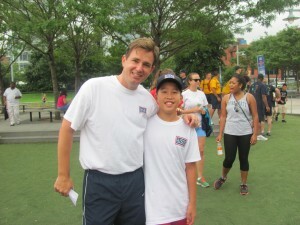 One picture is of me and Mr. Brian Whiting, President and CEO of the USO of Metropolitan New York. The other picture is of some of our Navy service members warming up for the walk.